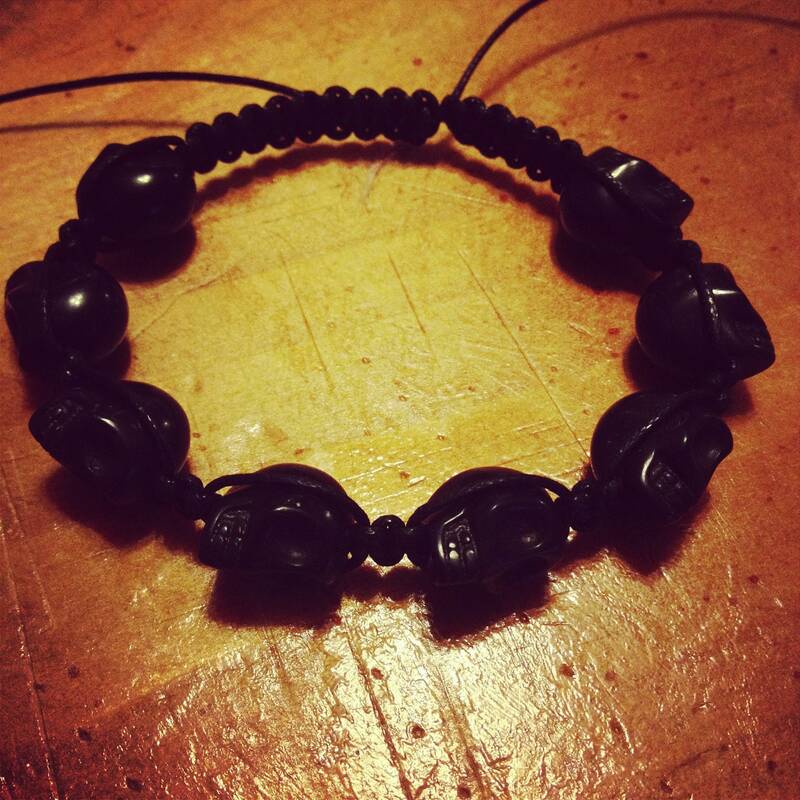 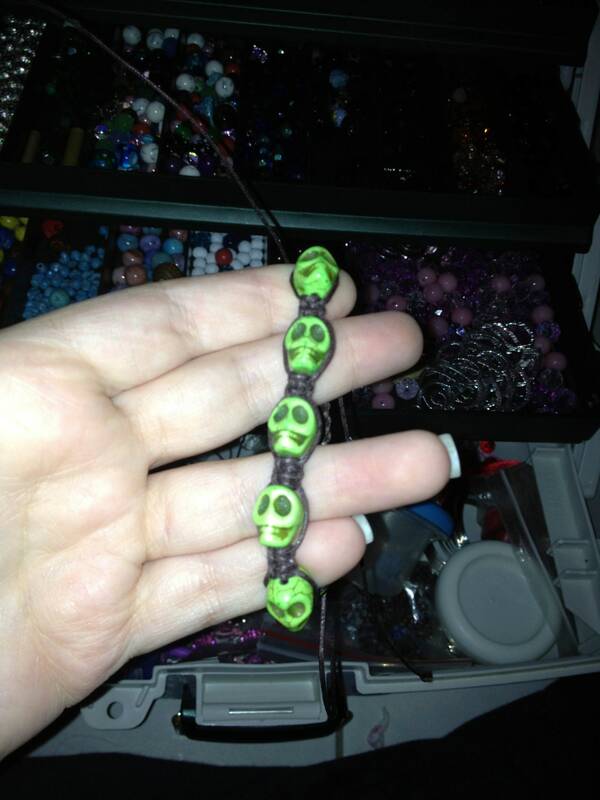 For this Listing we can make you a Shambala weave bracelet of mini sugar skulls. 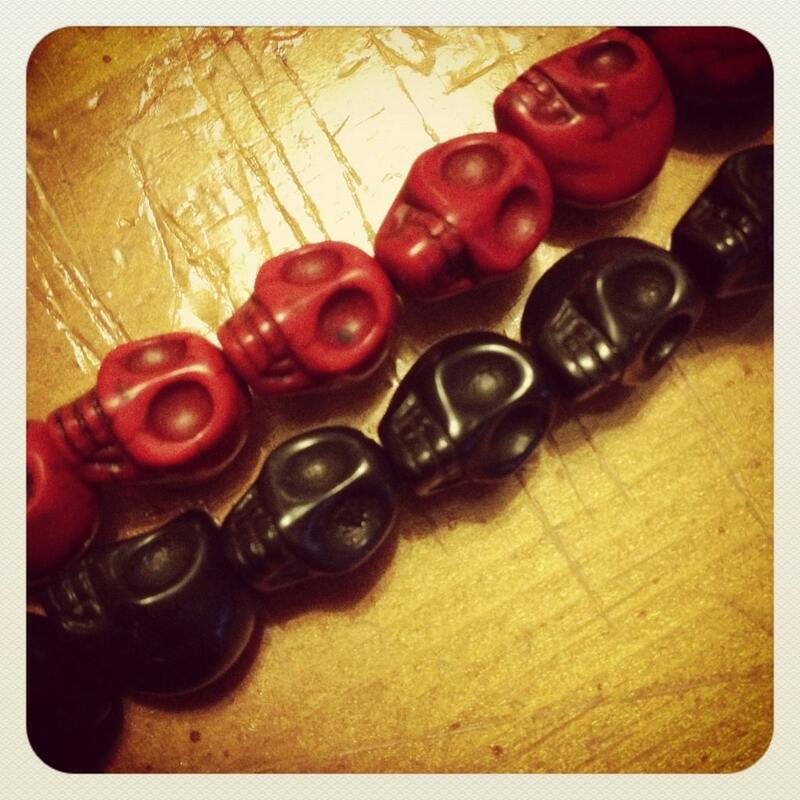 Colors of Skulls: White, Navy Blue, Turquoise, Black, Green and Red. 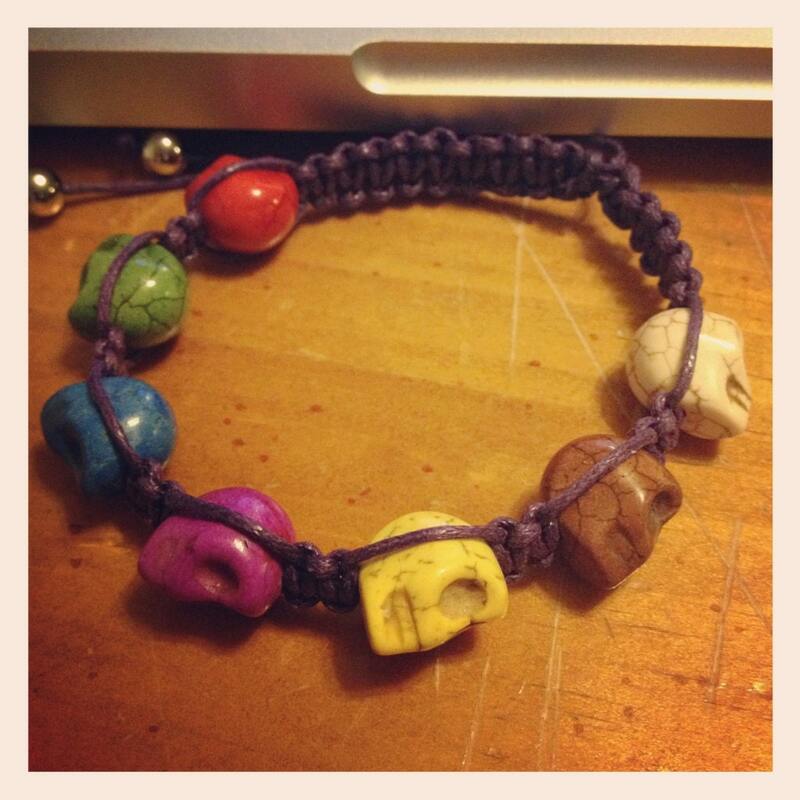 String: Navy blue, Turquoise, purple, black, pink, red and lime green. 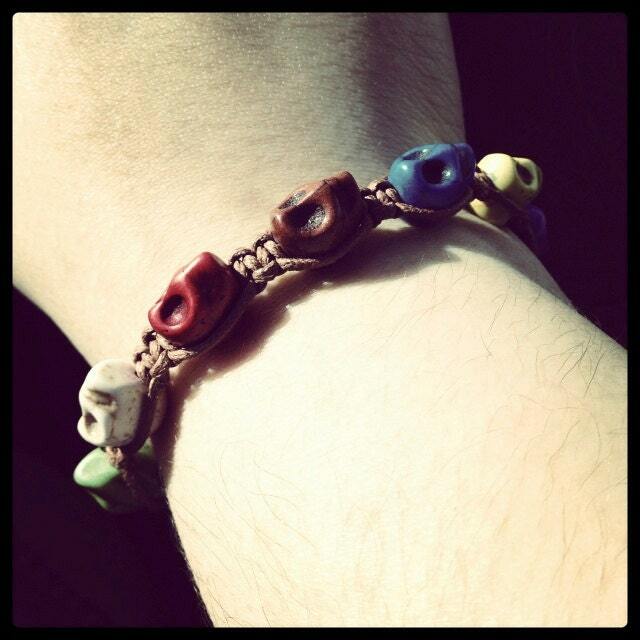 If you don't specify a color we will ship a bracelet at random.